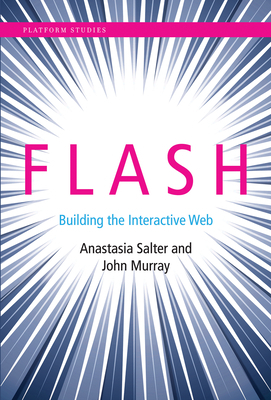 Salter and Murray investigate Flash as both a fundamental force that shaped perceptions of the web and a key technology that enabled innovative interactive experiences and new forms of gaming. They examine a series of works that exemplify Flash's role in shaping the experience and expectations of web multimedia. Topics include Flash as a platform for developing animation (and the "Flashimation" aesthetic); its capacities for scripting and interactive design; games and genres enabled by the reconstruction of the browser as a games portal; forms and genres of media art that use Flash; and Flash's stance on openness and standards--including its platform-defining battle over the ability to participate in Apple's own proprietary platforms. Anastasia Salter is Assistant Professor of Information Arts and Technologies at the University of Baltimore. John Murray is a PhD student at the Expressive Intelligence Studio at the University of California, Santa Cruz.